This past Thursday and Friday we held our first Children’s Ministry Leaders’ Conference here in Legacy Hall at the Creation Museum. Over 200 leaders in children’s Sunday school, VBS leaders, and children’s ministry workers from all across the USA (and one participant from Mexico) gathered to strengthen their outreach to the next generation in our churches. Here are just a few comments from some of the attendees. So much excellent info and all speakers so knowledgeable. But the best part—their “heart” for this ministry—love for it and so real. Each poured so much into their hour. – Linda B. Material presented here like no other CM workshop. I was needing different and got it—done with excellence. – Brad M.
Superior conference! I learned much and will be taking back a lot to my church. – Diane R.
[This conference] exceeded my expectations. If I had come out with one or two new ideas, I would have been pleased. I got so many new ideas it will be a challenge of which to start first. – Bill M.
There is such a need to training up our children to stand on the authority of God’s Word. It was a blessing to be able to help equip and encourage these faithful servants. Here are some photographs taken during some of the sessions. After the conference, over 150 of those attendees stayed over to learn more about our major new Sunday school program, Answers Bible Curriculum (ABC). 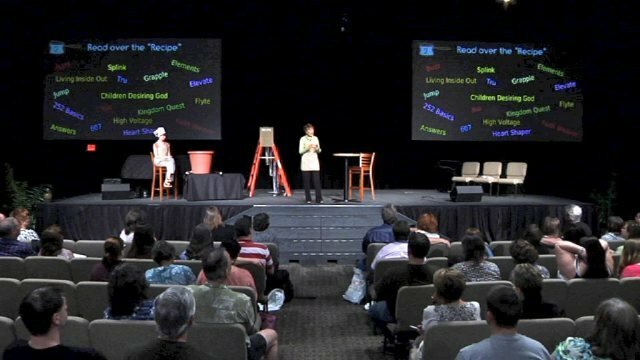 Two special informational sessions were hosted by our marketing and editorial teams, who are working hard to begin shipping this much-needed new Sunday school program by this coming June. (We expect to be shipping by mid-June, and we have already received many orders!) 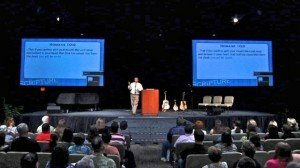 We gave a detailed overview and a Q&A session covering many topics about the curriculum, pricing, how to help your church decide to use it, etc. The presentations were videotaped and will be uploaded to the ABC website in the next few weeks. 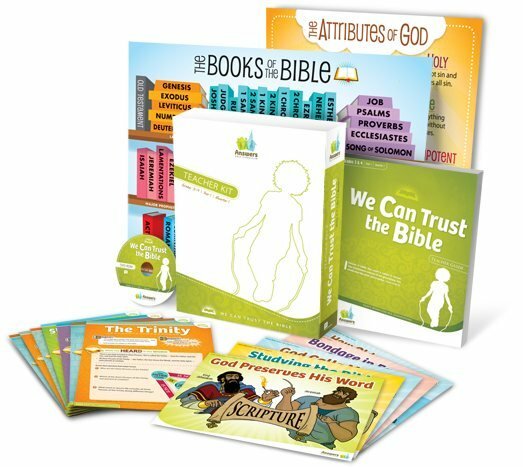 There are already numerous ways to get more info about the Answers Bible Curriculum at the website, including a free PDF sample lesson for each of the seven age groups, three-minute and eight-minute introductory videos, prices, and ordering information, etc. This curricula is so needed. It has been over two years in writing, editing, and illustrating, and I have just been informed that we will begin sending it off to the printers this week! We are indeed excited at what we see the Lord doing. 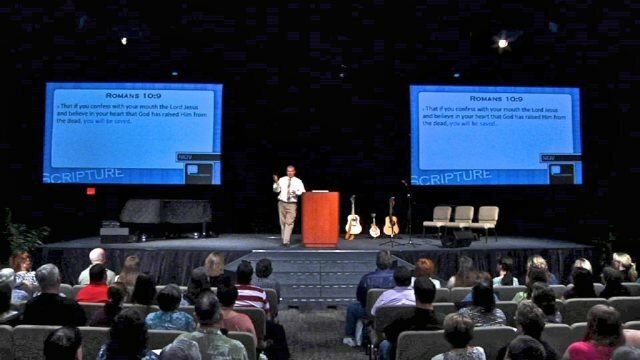 Individual teachers and entire Sunday school departments are already seeking to begin teaching this 3-year, chronological, through-the-Bible curriculum that has all age groups studying the same Scripture at the same time. We even see a lot of homeschool families signing up for one or two of the seven age groups! What tremendous help this will be, not only in church settings, but in homes as well. Parents and children are able to talk about the same Bible lessons with one another as they sit at home, travel together along the road, and talk together in the evenings and the mornings. Sounds a lot like Deuteronomy 11:19, doesn’t it? What Was the Response to ABC? Just a thank you for having the wisdom and diligence in writing this curriculum for kids! Our staff shared this with me. 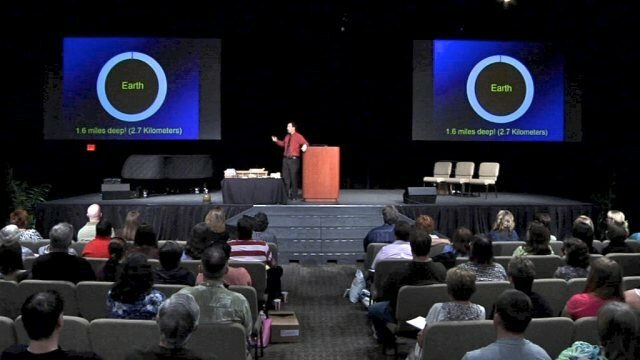 We also had numerous individuals and couples share how much they see the need for apologetics-based teaching across-the-board in terms of ages, but that they’re concerned their committee or their leadership won’t be willing to switch to it. In fact, that doesn’t surprise us! We have had many people from different churches tell us that the people in the congregation see the great need for creation apologetics teaching in the church, but the leadership, either because of compromise with millions of years or because they don’t want to change from their denomination’s “sanctioned” curricula, they are reluctant to switch. We just encouraged those folks to do what they can, starting with just one age and one class if that’s all they can get permission to do at first. They were actually happy to hear us encourage baby steps, if that’s all they can do. They want so badly to see it across the board but to know that we support them in doing whatever they can do is a shot in the arm. We also saw many nods when we encouraged them during the Q&A time to utilize any homeschool families that may be willing to teach ABC at home first (or in a single class) and then band together with them in presenting the need and the enthusiasm that we expect homeschoolers to have toward being involved in helping to teach this material. We believe the ABC curriculum is really needed in our churches, homes, and Christian schools, and that once it is adopted, the feedback and responses from those doing it will clearly show this. That has definitely been the response in the churches where ABC has already been tested! Here are some photographs of parts of the ABC curriculum. 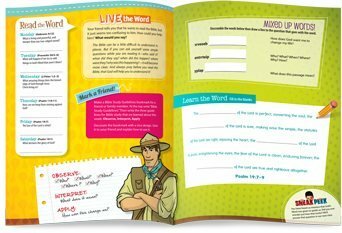 Find out more about the Answers Bible Curriculum at www.answersbiblecurriculum.com. I urge you to get your church to prayerfully consider adopting ABC! I believe you will be pleased—and the church will never be the same! Previous Article Failure to Communicate Next Article What’s the Least You Can Believe?